I just wanted to announce to the dear visitors and patrons of this blog that I am going on an important assignment for a few days and may not find enough time to pursue my newly found passion, i.e. create content for this blog. This blog yesterday turned one month old. And I was able to produce 50 posts in this period. Two milestones in one day, .......wow!! This has really been a wonderful journey. First few days were devoted to template, next few on gathering resources and collecting feeds. I have only recently been able to concentrate on content. In this period I have come across several blogs, some outstanding, some huge, some novices, some techies, all sorts of them. And really have learnt a lot from them. Thanks all of them. 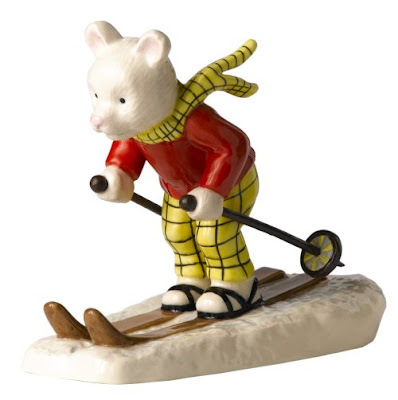 Every webmaster understands the importance of keyword. Keywords, who drive the traffic to your site through Search Engines. Here is a list of five great free webtools for your Keyword Research. Overture: It gives a fast analysis of popular keywords being searched and also finds keywords related to your term. It also gives an estimations of last month's search figure for a particular keyword. Good Keywords:It uses various tools provided by search engines like the Overture Search Suggestion Tool, Search Engines Like Yahoo, Google, MSN, Ask and other services like Alexa. Additionally, it can also be used for meta tag creation. However it has to be downloaded (just about 500 KB) and run over your machine. Webmasterautomation: It gives you a list related keyword phrases from Google and also provides how many pages are related to a given keyword in all major search engines. Additionally you can also use it for displaying Link Popularity and Meta Keywords. Wordtracker: For a given keyword, it generates a list of related items from thesaurus and for each of that it produces the related keywords used by differnet people in different search engines. he most imporatant aspect is competition analysis. For every keyword, it calculates the number of competing sites and then generates a Keyword Effectiveness Index, KEI, If KEI is between 10-100 then that is a good keyword to use and if more than 100, this means people are searching for this keyword but there is literally no competition. It is just like free money on the table, grab it. SEO Book Keyword Suggestion Tool: It gives results are from the Overture keyword suggestion tool but still provides more information. Softwares are costly. It takes lots of bucks to purchase software like Office, Nero, Photoshop, Norton Anti-virus. But do you know that you can get most of their features just without spending a single penny. No...No, I am talking about their pirated versions. It is about freeware. What....did somebody say that they are too naive and featureless. C'mon, check these freewares. They can do most of the functions as their big costly cousins. Let's list the five most useful freeware applications for your download. Includes word processor, spreadsheet, presentation package, database and drawing applications. Even available for Mac and Linux platforms - a feature not available with MS Office. No promotional footers or watermarks. Availability of professional tools such as layers, unlimited undo etc. Easy use of advanced features like gradients and transparencies, curves and image-enhancement effects. Easily burns CDs and DVDs, creates bootable discs, handles data image files, rips audio CDs and can print simple case and sleeve covers for audio and data discs. 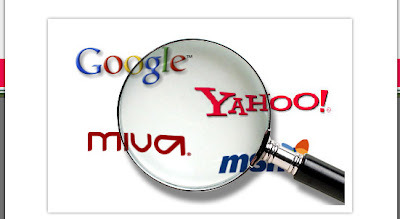 How much do you care for Search Engine Optimization, SEO, of your website or blog. We all know its importance, yet do not devote required efforts and energy to this aspect. SEO depends upon a lot of factors, and new bloggers are found a bit confused about what works best for them. There is no sure shot tip for it. However Webconfs have come out with an exhaustive list of Do's and Don't on a scale of +3 to -3. I will list out only the extreme ones, rest you can check out here. TMCNet has reported that Qiao Xing Mobile, a Chinese manufacturer has introduced their most innovative handset to date, T100. The most important feature, besides ultra long standby, multimedia features such as streaming TV, is its fingerprint recognition feature. "...we think people are going to start using their handsets to conduct such wireless transactions as electronic banking, securities trading and Internet shopping. The fingerprint recognition scanner on our new T100 model will specifically ensure that such confidential data that is stored on handsets remains secure," said CECT Chairman Wu Zhi Yang." 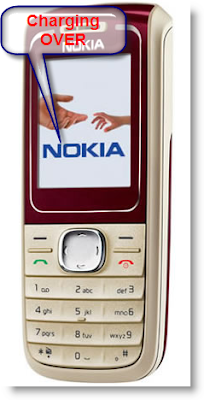 Fingerprint recognition in cellphones is not a new concept in advanced cellphones anymore. 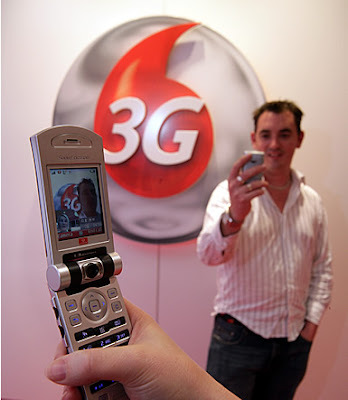 Many cellphones of manufacturers like Pantech, LG etc have been offering them for quite some time now. This is a strange world. You never know when friends or strangers becomes competitors. Otherwise, who would have ever thought that Wi-fi, a service for localized mobile computing, will become threat to the big 3G networks, which are essentially meant for high speed data transfer to mobile devices. Both the domains were very different. Wi-Fi, a popular acronym for wireless fidelity, generically describe the wireless interface of mobile computing devices, such as laptops in LANs. Wi-Fi is now increasingly used for more services, including Internet and VoIP phone access, gaming, and basic connectivity of consumer electronics such as televisions, DVD players, and digital cameras. " But the market forces have brought them face-to-face. BBC reports how Wi-fi signals are posing a big change for cellphones in UK. Another thing, which came to my mind was the astonishingly delay in telecom development in my native country, India. They had 3G and Wi-fi applications way back in 2000, while India is still struggling to provide them to masses. But India is catching up, no doubt. Do you use Google calendar often and want to carry your Google Calendar in your pocket. GCalSynch is one of the useful free webtools, which allows you to do a two-way synchronization between Google Calendar and cellphone's built-in calendar, which means that you can sychronize calendar from cellphone and vice-versa. Recently another webtool, named as GooSynch has been launched. There is a comprehensive list of mobile devices, which can be used with GooSynch. However, You are only able to synchronise your primary Google Calendar and also there is a limit to a sync window of 7 days past and 30 days future of the current date. Beyond which you have to upgrade. Are you constantly on the move and need online storage space for your documents ? Box.net allows you to store loads of information to a secure location on the web for later access from anywhere. Now they have released their latest add-on for the service, Office on Demand. With this a button is created in MS Office applications like Microsoft Word, Excel, PowerPoint, and Access 2003 & 2007 from XP/Vista, which can easily your document with one mouse click. You can download the software here. The service is free upto 1GB of storage space. Have your ever been a situation when someone at a remote location is stuck with a bug in his machine and calls you for online help, which may run for hours. What do you do to avoid the hefty phone bills. Startup crossloop and click Join tab. Click on Host tab to get a 12-digit access code. Pass it to your friend (by email or phone). He will enter it into his Join tab and click on connect. 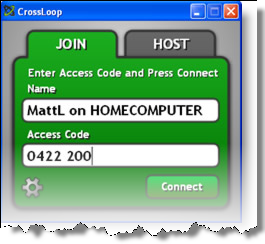 Crossloop claims to contain no spyware or malware. Nor does it record any activities on the connected servers. When did it happened last time, when you lost your cellphone (or got it dropped in toilet), and missed the contact list. Thanks, there are a few online cellphone data storage tools available. Now AT$T has also started this service, but at a small price of $1.99 / month. After registration, you have to download a small code into you cellphone and set the updation frequency. Your cellphone will accordingly update your contact list on the online server. However there is also an excellent webtool named Zyb (beta as on date), which is free and gets installed on your cellphone through an SMS, which you receive on registration here. Seems, no more worry to loose important contacts. Most of us, using laptops are concerned with the potential misuse of important data, in case the laptop gets stolen or lost. 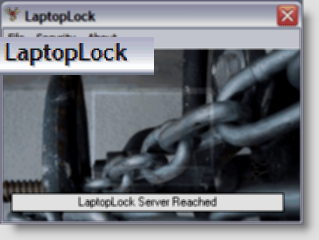 With the help of Laptoplock, a simple yet effective free webtool, you can still access your lost laptop and delete / encrypt sensitive files so as to avoid their misuse. For this you have to register your laptop with laptoplock, which installs a code in your machine. If your laptop gets stolen, you have to report it at the website. After that, whenever that laptop gets hooked onto the web, the laptop takes specific actions like encrypting / deleting your sensitive files, which you had marked beforehand. Even if the laptop is not hooked to web, it could ask the user to verify their identity by asking for a password. The service is presently free. The FAQ are available here. Every Firefox user must have got irritated when your browser just hangs on clicking a pdf link. 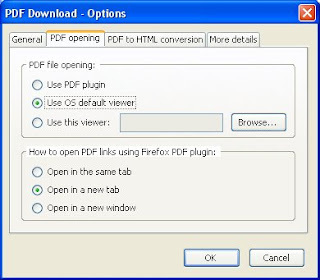 But, thanks, this Firefox add-on makes life simpler by opening the pdf file in your pdf viewer application instead of the browser itself. Just install the pdf extension from here. 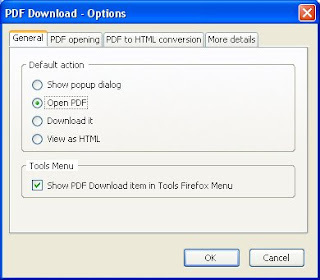 go to Tools > Add-ons > Select PDF Download > Click Options > Click ‘General’ tab > Check ‘Open PDF box’ button > Navigate to ‘PDF opening’ tab > Check ‘Use OS default viewer’ box button > OK.
A few other tips for speed-up of Mozilla firefox are available on this blog here, here and here. 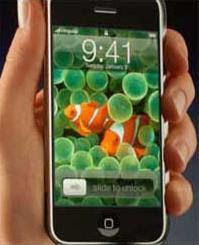 An unmatched degree of hype is being created about Apple's iphone. The latest news being that AT&T, the official distributor of iphone, will sell iPhone on First Come, First Served Basis, which means there will not be any pre-sale or pre-ordering. I like to search for better and faster browsing methods. I am sure, you too like that. You can find a useful tip and a post about Fasterfox for speeding up Firefox elsewhere in this blog. My friend Subhash has come up with a nice tip to increase your bandwidth utilization by 20 percent in windows XP. There is another tool Firetune, which optimizes your system based upon your connection speed, which makes it probably better than Fasterfox. However the fact that Firetune is not an add-on and you have to download a 1MB file from here, might make it less popular among some users. Taking a cue from twitter, Jared Cosulich, has come up with a tool Monitwitter, to monitor what your website is doing ! It lets you to get timely notifications about when your website got down or up through twitter. It is in experimental phase right now and free. 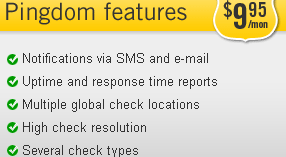 In contrast, Pingdom is a more versatile and offers more features but comes definitely at a price. However Monitwitter makes it amply clear that Monitwitter is not at all associated with Twitter. The biggest VoIP service provider Skype has now shaken hands with retail juggernaut Wal-mart to distribute its range of VoIP products through more than 1800 Wal-Mart outlets in US. You can read about the announcement in today’s USA Today, and get more information (including store locations) at www.skype.com/walmart. Use Alexa redirection whenever you can. No matter when or where you provide a link to your website, you can always be sure to use the equivalent Alexa redirect URL. For example, http://redirect.alexa.com/redirect?webtools-desinet1.blogspot.com provides a link to me. If you copy this URL into your browser, it will take you to my blog. To know your Alexa Redirect link, just replace the name of my blog with your website. If you want to enrolls yourself simply copy the list and include 2-3 blogs of your choice and pass it on... But for ensuring success, make sure to visit each blog with their alexa redirect which will help them in improving their Alexa rank. 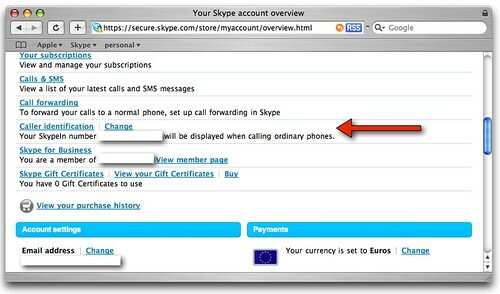 Three days back, Skype rolled out the eagerly awaited Caller-ID facility in selected countries (reports one Skype update). Till now, if you use Skype service to call Landline or mobile phones, an awkward ID was sent to the called party, sometimes irritating him. Now you can now choose to show your number as your Caller-ID. All you have to do is to go to Your Account and then look for the “Caller Identification” bit. Click the “Change” link to set it up. See also the FAQ for more information. As of now, this service is available in UK, Sweden, Denmark, Japan, Hong Kong, Estonia and Poland. and this list will keep changing. I am one of those kind (and I know there are many of this kind) who just plug their mobiles to their chargers for the full night and unplug it only next morning. But have you ever thought, how much power does it waste. Mobile phones sounding a beep and displaying an alert -- "Battery is full, please unplug the charger" -- could save enough electricity to power 85,000 homes annually. And that's why they are developing technology so that your mobile phone could soon be prompting you to save energy by unplugging the phone's charger when the battery is full., reports Reuters. The phone maker has previously said it had agreed with other mobile industry companies on measures to reduce energy consumption and reduce pollution in the sector as part of a project in partnership with the European Commission. 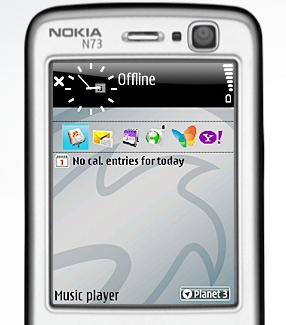 The unplug alerts are likely to first appear on its 1200, 1208 and 1650 mobile phone models. It has not been long since a company "X-series from 3" had started their Internet Telephony service on Mobile phones through Skype. "X-Series from 3 combines the very best that a mobile and the internet has to offer, packaging it together to deliver your online world - mobile." Close on the heels, another venture, named as Fring, proposes to allow your mobile internet connection to make peer-to-peer VoIP calls, send instant messages and talk with VoIP applications such as Skype, Google Talk , MSN Messenger and SIP, all rolled into one. Seems convergence has indeed begun to take its place.